Firstly what is an "entity"? Where the soul is encased in some kind of vehicle, this may be considered as an "entity". A soul encased in Human form may therefore be considered a Human Entity. Likewise, there are souls encased in other vibrational forms that exist in the field all around us. These might be considered "entities in the field", of which, there are both benevolent forms that support human evolution, and others that retard it so as to harness energy for their own existence - like a bodily parasite, which needs to be removed. More sophisticated entities are able to insert coiled twists of energy into the human field so as to generate disonance, which then causes energy release which they can harvest. Up to now, we've tended not to talk about these implants because they can stretch tired and skeptical minds! 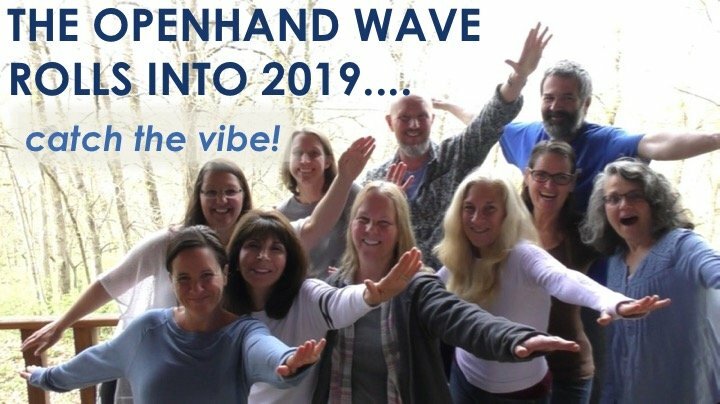 But removing them is definitely more effective if people are aware of what's going on, so I imagine in the years ahead, we'll be much more transparent about the underlying catalytic healing work Openhand is doing. During the courses we do, removing energy implants tends to happen naturally within the general underlying shifts of energy, but you can intensify the effect with greater awareness and direct focus. Once you become aware of them personally, essentially you already have the power to remove them yourself. So let's take a closer look at their nature. I think its important first to understand what they are, where they've come from and how they work. As we're increasingly alluding to, there is a highly sophisticated life form operating in the field all around us. It's an Inter-dimensional Consciousness - like a virus - which is essentially controlling society and farming humanity for energy. At Openhand we've called it an Opposing Consciousness. Human DNA can be influenced from the fourth density field. Since DNA is a receiver/transmitter of frequency, then by projecting a particular vibration into the DNA - like lazer, sound or even thoughts and words - can shift and change it. Or even block it and dumb it down. Having interfered with human DNA through this kind of manipulation, the Opposing Consciousness has intervened in the natural evolution of humanity. It has done this to limit and control, so that people cannot so easily feel, intuit or know external distorting influences coming in through their field and affecting the choices people make. 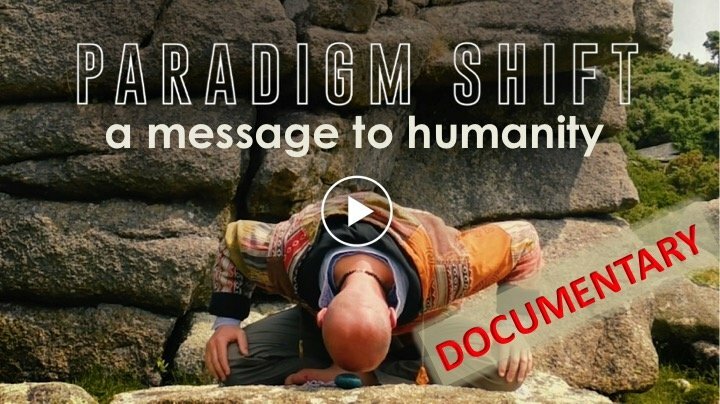 In effect, Homo Sapiens is a hybrid species, that we're now being invited to heal, cleanse and evolve beyond. 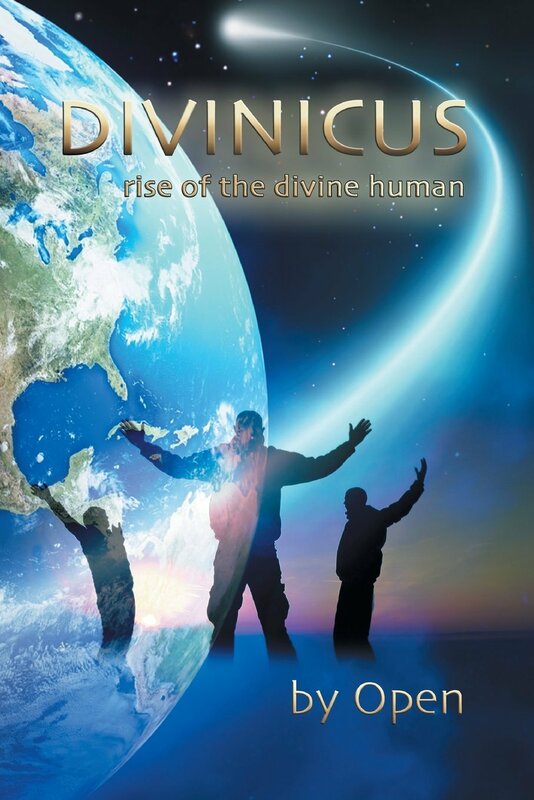 Even our DNA can be healed that we may evolve into a new form (something which at Openhand we call... Divinicus). One highly undermining tool the Intervention has used to limit and dumb down, are energy implants. The best way to describe these are twisted eddy currents of energy that emit various frequencies which create something akin to 'white noise'. People are internally distracted by the 'noise' which lowers their vibration and since it is so prevalent, then fades into the background of their experience. Often, an energy implant will be inserted close to a key centre such as the third eye. So when people try to meditate and open that centre, the (now) subtle vibration of the white noise means they can't actually bring attention to the authentic centre itself. When I sit with people in groups, I can literally feel their implants as twisted knots of energy, often in the forehead just left or right of the centre. They are frequently the reason people get headaches or migraines when they try to meditate. At the very least, as you become more sensitive, you might feel them as a subtle vibration or hum. These implants not only lower your vibration, but they cause people to bleed energy into the field. And they act a little like a cloak, often concealing entities that lodge in your field which cannot then be 'seen' or felt. They cause you to get internally tight and emit energy, which is why the entities are there in the first place. They 'assimilate' the releasing energy for their own benefit, which is often to the detriment of the host - it generates lack of peace and lowers energetic vibration. To remove them, firstly you need to expand your consciousness as much as possible, and become as sensitive as you can, by following your natural evolutionary path - the one we've outlined in 5GATEWAYS. You must first process out attachments to the lower vibrational planes: especially the physical and emotional. Then you can get into the mental or lower-mind plane through the solar plexus chakra. You must start to break down inner child and teenager conditioning by confronting conditioned behaviour patterns. If you do this, then you'll increasingly activate and unfold into your causal or energy body - the chakra and meridian energy field system. If an implant is present (which in most people they are), then you'll start to feel this as unpleasant convolutions of energy - like distracting buzzing. 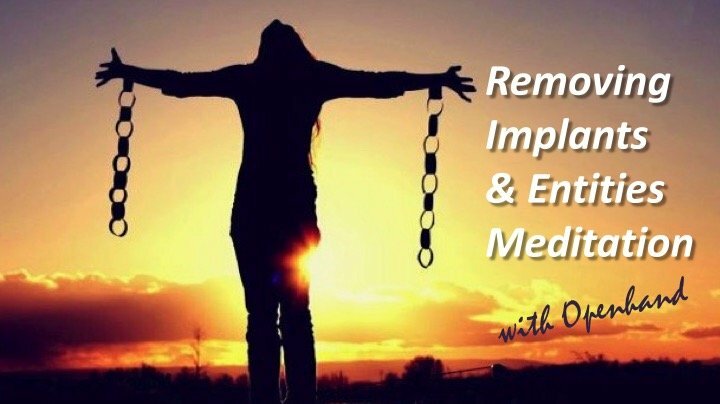 They often put people off meditating or doing any further energy work, but this is exactly the point to persist, because the paradox is, that once you can feel the implant, you already have the power to remove it yourself. Universal Life Energy is moved in the fourth density by heartfelt emotive will. It can begin as a physical/emotional experience which wells up from within and can then be directed through the field around us by focused intention. So where this is the case, it becomes possible to direct ones energetic will to literally extract the implant through the channeling direction of the ear (the reverse in which it was inserted). A healer can help do this too. However, from personal experience, it is definitely more effective if the healer can energetically guide and talk people through what is actually going on. Especially since the implants do take different forms and dealing with each tends to have a different approach. 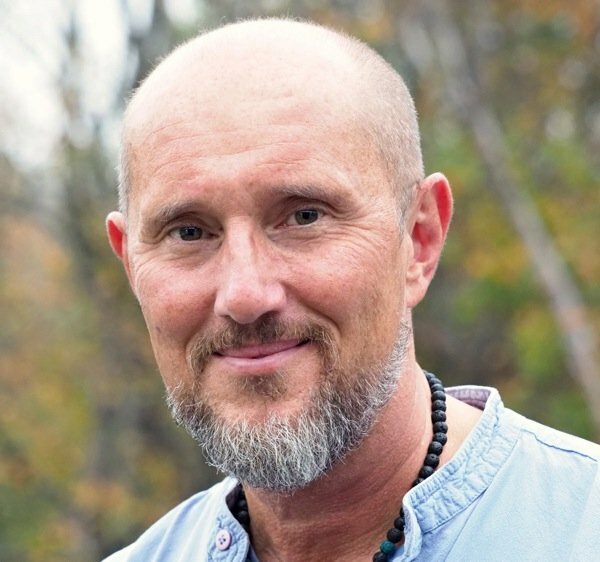 Once the implant has been removed, often there's a noticeable infusion of higher self energy, powerful flows open and a reconnection to previously lost aspects of beingness. It's also important to note that once the implant has gone, there will still likely be an 'imprint' in one's field. Knotted energy will have formed around the implant which has characteristic feelings of the implant itself. These imprints will naturally unwind themselves in the hours and days following the implant removal. But it's important to be aware of them, because doubt and disbelief (that the implant has gone) will make the healing work much less effective. This is still not the end of the process though. Where an implant exists, often there will be one or more entities hiding behind the 'cloak'. These must be removed too. Of course they will resist, it's like being evicted from a cosy home! Again, once we can feel them, we already have the power to eject them. You simply have to intuit how to work with them. But you can also call in help from an experienced energy worker - it tends to accelerate the process. Connecting with the angelic realms also helps greatly - they are assisting humanity in this vital area. I can also say that if you hold some kind of internal judgment about the Opposing Consciousness (most people understandably do), then removing the entities is either not going to work or be only partially successful (they'll likely return at that energetic level). We must first evolve past such judgment - whatever has been done to us - in which case, our effectiveness in the field is going to be greatly enhanced. 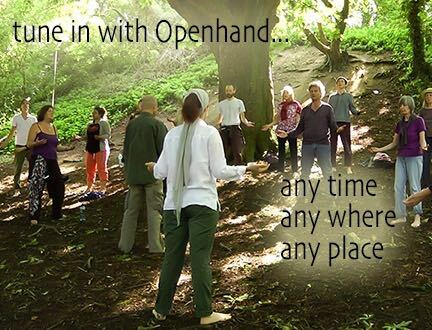 PS: Openhand leads worldwide courses supporting the emergence of soul. Many Thanks for this fascinating and deeply informed article, which I feel more able to look at now.Aliens are very much a reality at the moment in mine and my sons life.The teachers in his school evenhave put goo around the school toget the children thinking.Is it a hoax? Or is it for real ? I have always been incredibly sensitive to precisely what you are pointing at and literally feeling it all and seeing the energy ''numb'' humanity and knowing somethings not right.It works deceptively and subtly I think and robs us of our divine birthright, and our humaity !! Making us feel that the more out of alighnment we are with our true selves the more we will succeed. It's away of treating people like tin and not feeling beings. "A tennis racquet, like a baseball or cricket bat, has a sweet spot. If a ball impacts at the sweet spot, the force transmitted to the hand is sufficiently small that the player is almost unaware that the impact has occured. If the ball impacts at a point well away from the sweet spot, the player will feel some jarring and vibration and perhaps discomfort of the handle. The sweet spot is a vibration node, located near the centre of the strings." It feels like the ball has hit "The Sweet spot" with this article. If you've ever had this experience with a racquet then you also know where that ball will wind up even before it sails through the air. There is a knowing that occurs in that moment. And I suspect that for many reading this article they know that the sweet spot has launched their ball into Glastonbury . This implant would not be a constant high frequency tone would it Chris? Well I don't personally hear them, rather I feel them - but my knowing is that they do emit high frequency tones yes. So if you're more clairaudient, then perhaps you would hear them as that. I hear the high frequency tones in my own head nonstop and wondered if that was from an implant or something else? Some people hear the background field of Unity Consciousness as a high pitched tone too. It would depend on how the experience makes you feel? If it doesn't cause any tightening, then maybe its just the field. Usually with an implant, you can feel pretty tense and tight. Thanks. I have moved to a peaceful calm after pushing fear out of my life. The sound never makes me feel tight or tense. I've considered it a gift since it started on 9/11/10. I appreciate your replies very much. Many thanks for sharing Chris. I find this truly useful information and the image is beautiful too, really captures the essence of the sharing. Here at Openhand it feels like we've been 'battling' this energy for eons and have much insight into where it came from, how it works and most important of all, how to negate it. Up to now, it's felt like the timing wasn't right to speak about it. With quite a few people, when we have, it's closed doorways and turned them away. But now I sense more and more people stepping forwards who are truly having these deep multi-dimensional experiences - they can see and feel the denseness of the fourth dimension for themselves so it helps to illuminate the subject. Let's see how things take shape! Hi - I think I had some experience of this at the Openhand retreat in Llanberis a few years ago. I was seeing Holocaust events in group meditation which I think other people were having too You mentioned Chris that this had been a common experience for people and was originally due to the Implant placing procedures which were quite to say the least not very nice. After I'd spoken to you about it then a whole part of my life and the reasons why I had taken some major decisions unravelled - it really was like pulling a piece of wool and the whole jumper unravelled. It started with events in this life and traced backwards into other incarnations - and I felt at the time you were telling me that the implant itself could have been the reason for some incarnations themselves - or at the least played a major part in it. A very perculiar but pleasant unwinding experience. I've also heard this high pitched humming - sounds like very fast digital tranmission of some kind - don't feel any tightness with it - have heard it since I was a child - I always thought it was information passing down the telegraph telephone lines - I learned morse at one point and am pretty sure there is some code coming in the pitch. I know Chris you've mentioned on retreats that you see the code - perhaps it depends on which sense it the most developed? I know when you first told me about this Chris I felt very tight - one of my - oh no don't believe this experiences. I've since learned to recognise the feeling and the tightness and use it as part of my spiritual practice. The subject of implants among healers and shamans is a hot topic. Bridging the two worlds of earth mysteries -- shamanic work-- with cosmic energy is a new area for many. In discussing the implants people can be incredulous and have a hard time "buying into" the celestial affects on their well being. This post is perfect and I am grateful for your sharing! It allows implants to be discussed and acknowledged in a safe way. And addressed in a manner that empowers us to be the solution! Many blessings and deepest thanks for this. Feel free to share your experiences here. I sense you'd have a shaman's tale to tell! How to know benevolent intention? And yes exactly, although an outside mirror (a energetically sensitive or aware person) can point in the right directions, it is only you yourself that can figure out what influences in your field are benevolent or malevolent. It's all about motivation for action. If you trace the original thought that inspires your action, what is its affect on your system? If we watch our motivations for action and feeling then, we can unravel that which is benevolent in our field and that which is not. Thanks for talking about this subject (sorry for the delay, but i've only just seen the original post). I am wondering if you could provide any info on the source of this belief, or where I could find further details? Secondly, I'm not sure that I will be able to come to Glastonbury this year, due to resources being stretched, so would you be able to record a guided visualisation/meditation CD or download (very happy to pay for that)? Something that would give a step by step guide for people in the process of identifying and clearing impants and negative energy attachents? Your written instructions on ths blog are very clear, but I tend to forget them and it also distracts me if I interupt the practice to read though again. You ask about the genetic manipulation of our species? Where's there evidence? There are various parts of the jigsaw that people are beginning to investigate. But I couldn't recommend any one source right now because at least from my observation, they tend to come from incomplete angles that then go on to make quite ungrounded/unrealistic assumptions after that. You could check out the work of Lloyd Pye. He looks at the anthropology in great detail and offers quite convincing arguments for why Homo Sapiens could not have happened simply by the process of natural selection. You might also google submerged ruins around the world. There is much evidence of highly advanced submerged cities that PRECEDED the last Ice Age which ended around 10000 BC. How did primitive man with stone chipping tools move 100 tonne stone blocks, cut them with precise precision and then 'melt' them together to create some of the structures that exist? It simply doesn't add up in terms of the evolutionary path people have been sold. My personal evidence is based on direct knowing which is unfolding all the time, backed up by past life regressions which are naturally happening to people who go to an advanced level of the work with us. I've worked with people who've gone into regressions where they've experienced being genetically manipulated - they've described what that has done to their bodies. People describe them in similar ways even though they had no prior recollection to these events. And if people are wondering how did Opposing Consciousness do this? Where's the technology and why isn't mankind at that stage now if this technology supposedly existed thousands of years ago? It's because the intervention happened at a higher vibrational level. The energy - or causal - body contains the blue-print for the physical body. So if you engineer or change the energy body, then that has a huge impact on the physical. The energy body exits within the 4th Dimension and that's where this Opposing Consciousness resides and where it works from. That's where the implants exist also. In the months ahead, I will begin to speak more about this. But I'm only going to do it when I can tie in some of today's scientific thinking and fossil/genetic records. Chris, the light you have shed on how the different dimensions work(and who works in them) has been really helpful. Pieces to the unanswered puzzle start to fall into place. I was wondering if interdimensional travel is usual during sleep. I experience a great deal of what feels like help from higher beings, as well as attacks and/or fighting injections(implants? )during sleep. Hi, Tasha's comment was really timely. This happened to me just a few night ago, they took the form of vampires (energy sucking). I made my way to the light, and stood under it safe and turned and faced these 'vampires'. I believe I was helped here. My question to add to Tasha's is how can we be more lucid and during our travels? Yes indeed, such interference can happen during sleep - it's because most are then rendered unaware of what's going on, they're more out-of-the-body so more easily influenced, and mostly people are unable to shape what then happens. In my observation, the only real way to prevent this is our full enlightenment. Essentially by progressively moving beyond identity (as we've outlined in Five Gateways). In so doing we become increasingly present. You're then present even in your sleep - sleep as such does not happen anymore. In such states of presence, it's possible to project ones consciousness and shape lucid dreaming. Ultimately you are rendered practically beyond the interference of Opposing Consciousness. Yes indeed - these are typical signs of implants and attack. The best way forwards would be to keep confronting attachments and inner darkness. To process it and let go. To keep evolving and moving forwards. There are no short cuts in the journey and neither does it serve us to stay put. The invitation is to keep evolving until this intervention is negated. My goodness, it really feels like we are getting bombarded with all kinds of interference in the field here in the NY area. I've been having real difficulty concentrating and even making simple decisions. The mental and emotional strain is very challenging. It feels like thoughts and emotions are being externally imposed and looping . I feel fortunate just to be aware that opposing consciousness is the cause. The skys overhead are very telling. I can imagine that folks who are not aware might be reacting unproductively. I don't know how people are even functioning? I also definitely feel attachments around my skull. I guess some of us are more prone to this type of thing? I’ve just looked up this thread because of a dream I had last night. It’s really surprised me how people have mentioned some very specific details that coincide with some of my experiences too. Yesterday evening I went to Love Dance (which is like 5-rhythms dance in which you can work with energy on physical, emotional and spiritual levels). At the end we all chanted together sending out love into the universe and it was so powerful and beautiful I cried! Then I went to bed and I dreamed that i was looking at myself and there was something that had partially worked it’s way out of the skin under my right temple. I drew it out. It was something small and white-ish and I had a feeling of repulsion about it as i held it and examined it. I’ve had a headache all day. It was just such a strange dream and it made me wonder if this could be related to this topic. Particularly after i was doing some energy work last night. Thank you for sharing you experiences, please carry on! oh also Chris, you mentioned 'convulsions'. Would you mind to describe your experience or knowledge of them please? as I've been having these strange jolt feelings since some spiritual work a couple of years back now. It seems like a problem with my nervous system but it's just odd how it seemed to be a direct result of the spiritual work. I've frequently experienced people having convulsions as inner transformation happens. It seems to be that when our soul infuses strongly, then the shift from old consciousness to the new can causes quite dramatic internal contractions and releases. The question is, do you feel more expanded and lighter after the releases? I don't like the feeling of it. It mainly happens when I'm most relaxed (although not in meditation) and pretty much only when I'm alone. I used to think it was something interfering with my energy field, but now I wonder if it's energy trying to flow but hitting blockages and causing a jolt. In meditation i get funny little cracks and clonks in my neck which is another strange thing as i'm not moving. This feels quite nice though! Yes it's important that we never see ourselves as having somehow completed the journey. 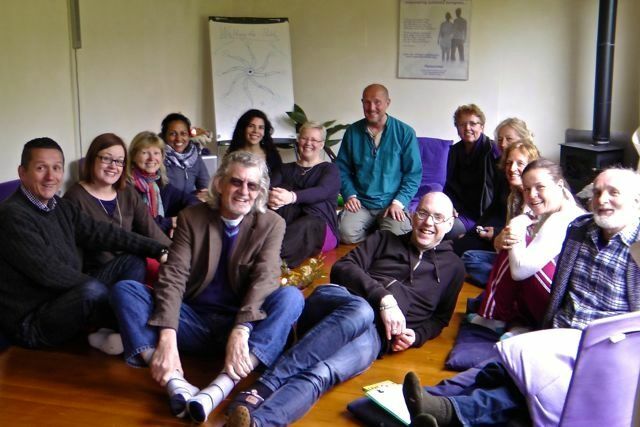 One essential thing to consider in any kind of healing work, is that no healing can ever happen unless the client has realised what they personally needed to get from the problem. So the Openhand Approach is always to help people see this first. Otherwise the implants will simply come back, although at a much more subtle level. Many thanks for the article Chris, through it I found your community. 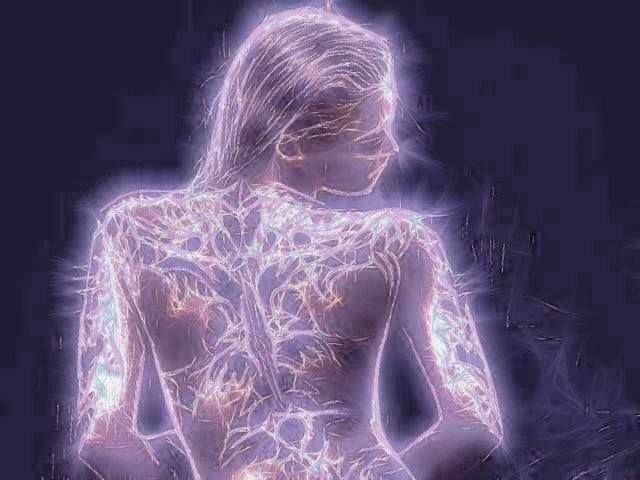 “They were there to remove something from your energy body. You had from a past life many many eons ago, during the time of Atlantis, a device that was placed in your reproductive organs. Throughout the many lifetimes since, your physical body reacted to this device. The device was initially put there by some beings who wished to manipulate the energy of humans. The beings that visited you during the night were not these same beings, but instead are busy visiting many different people on Earth to remove these old devices. These beings actually work on a very high energy and they can feel very cold and unresponsive because they only focus on their tasks and do not communicate. There are many different places in the Universe where there are other beings; and like humans, some of these beings exist to help, whereas others exist to harm. The fear that you felt about this visit was a feeling also attached to the device that was removed, as that fearful energy was present in every day of that past life in Atlantis where you were basically treated like a lab rat”. I´m sure there must be various ways to remove these devices, just wondering if you are familiar with this scenario of higher beings actually helping us to get rid of these implants? I have pretty vivid past life awareness of Atlantis - pretty unpleasant experiences! - and have facilitated many past life regressions of people back to that time as I've sat in meditation with them. Atlantis was real indeed. It was a place where modern humanity was 'seeded', overseen and strongly controlled by malevolent 4th Density ETs (Annunaki). Atlantis was where modern civilisation was spawned prior to the end of the last Ice Age. It's purpose was to genetically engineer and downgrade humans into a form that could be more readily controlled - farmed for energy. Various technologies were used including sound and something similar to lazer light, all functioning from the 4th Dimension where these entities reside. They are highly evolved, eons old and with highly sophisticated energetic technologies. Essentially once the female egg had been fertilised (in a pretty much usual way) becoming a Zygote, then 4D implants in the woman's biomagnetic field would project sound and/or light frequencies which then modified the developing embryo in the 'desired' way (if one doubts this is possible, Russian Scientists are reported to have already done similar to this - for example changing the embryo of a frog into a salamander). When you look back through the human genetic developments and changes captured within the fossil records, you witness a number of huge leaps which could not have happened under normal evolutionary time frames. Like for example how our bone and muscle strength suddenly reduced, how the brain capacity became suddenly much smaller (what evolutionary advantage are they?). These are changes that happened around 50,000 years ago as Cro Magnon 'evolved' into Homo Sapiens Sapiens. This experimentation was not pretty. Yes we were treated very much like cows and sheep are currently treated in our own industrial food chain. Yes, humanity was treated like 'lab rats' as you so eloquently put it. Many of the experimentations went horribly wrong. I've witnessed quite a few women reliving the karmic regressions associated with those and they can be very challenging. Undoubtedly the karma is having a big affect generally on the reproductive lives and sexuality of women across the planet right now. It's one of the karmic challenges we've come here to process. It is for example why 'moon time cycles' can be so challenging for women. The implants exist within a persons 4D field, and yes they can be removed and yes, there are other 'friendly ETs' currently helping - the Pleiadians for example. At Openhand, our approach is to empower people to feel them for themselves so that they themselves may remove them. That way, people become able to manage their own energetic fields. It means that people become fully integral once more and are able to resist any further attempts at conditioning. This is one of the hardest things for me to communicate to awakening people, because most can't see the energy, can't remember the affects and are desensitised to what's going on. It's only when people really raise their vibration that the 4D comes into their awareness. So I know most will be highly skeptical. Cest la Vie! - right now, I'm working on the physical legacy in our genetics which will soon come to light and I believe offer pretty much incontravertable 3D evidence of what's taken place. The Atlantean experiment was brought to an end by catastrophic floods that swept through the world as the last Ice Age violently ended around 12,000 BC. The ancient Egyptian civilisation, Sumerians and Babylonians were the remnants of that catastrophe and attempts to begin the controlling/farming process all over again. Chris, thank you so much for your clear insights! Even though I´ve read about some of these things before, it seems to take some time, at least for me, to come to terms with such history, certainly not like what is taught in our schools! I agree that it is through the approach of self-empowerment that any control gets erased. This is such an exciting time for all of us on this journey!! To rediscover our true nature and be with that, so, so precious! I have only just found this thread - absolutely fascinating and so much to take in. Thanks for all the information from all of you. There seems to be so many areas to work with/on at different levels. As I read your comments, I noticed a noise in my ears which I had not been aware of before, or if I had, I think I had put it down to tiredness. I shall endeavour to be more vigilant and work with it. I recently had a very strange vision/dream concerning implants and have wanted to raise this with you and ask for some assistance. In the manner of such dreams it was a rather odd experience & I was facing myself from outside my body. To the left of my "out-of-body" self, was an individual I cannot describe who was holding a slim metallic cylindrical device with 2 LED type lights arranged vertically at the top, the red light flashed on when it was moved towards what would be the right hand side of my head. I have read through your protocol for general removal of these and given the nature of the implants are you able to facilitate it from a distance? All going well I will be meeting with you in Glastonbury for your September session but feel an immediate need to at least minimise the effects. It would indeed sound like the dream is symbolising the presence of such implants. Yes I can facilitate at a distance. But what I would say, is that since you're coming on the course in Glastonbury, it's going to be more effective there. There are always several layers to these - the more I can help you feel and engage them, the more you'll be able to remove. Until then, explore as much as you can. Observe and feel, they tend to reveal a great deal to you. Thanks Chris, I will heed your advice and work through it. I tried an encapsulating method to isolate an implant and had a headache from that same space in my head for the entire following morning. Keep persevering. If you'd told me the headache lasted a month, then we'd need to 'turn the volume up' a bit in terms of removing. Trust that your awareness is bringing you to the right place. The Five Gateways bring people automatically to freedom from these. So stay with it and we'll see you soon. Well certainly it would appear something energetic has kicked off for you. So clearly you're aware of the response we would advocate - we see all such symptoms as energetic of some internal convolution of consciousness - in a similar way to your chiropractor. But I'd say that first you need to try and understand why it is there. You have to explore how you feel about it. Without needing it to go away. And before we get into acceptance mode, how does this problem hold you and why? How do you feel to react in relation to it. I sense there's quite a deep karmic issue in relation to mobility. Thank you for responding, Open. I feel gripped and haunted by a particular past life in ancient Rome when I was a military leader and chose to go against the powers that were, take the high ground, and do the right thing rather than brutally annihilate a village. This resulted in a savage attack on my "innocent" family and loved ones. It feels like bottomless sorrow having failed to protect them. At a deep level, I feel I deserve to suffer for sacrificing my family on the altar of high moral ground. I haven't been able to forgive myself, which is why this experience still holds me. I feel as though I can't atone enough to assuage my guilt. Choosing a disability in this lifetime has enabled me to become marginalized and invisible to a degree and to hide out from any position of authority where I might be faced with similar scenarios. There is a fear that my actions might cause harm to others again. And so I choose to continue to suffer physically and to become more disabled out of fear, guilt, and sorrow. There are other karmic links to past lives behind my pain and disability, but the past lifetime I've described here is the one that is impacting me the most. At times, I get a sense that I abused my position of power in two other past lifetimes that resulted in the harm and suffering of others. Those experiences compound my attachment to suffering in order to atone for what I did. I know that I now need to ask, "Does this still serve me?" No, I don't believe it does. It's time to let it go. It's not who I truly am. Can I accept my past actions and be okay with them? I feel compassion for myself in those lifetimes. Perhaps that's a start. Hi Catherine - so you haven't been able to forgive yourself for the karmic past life. You can see the guilt and know it doesn't serve you. So karma will recreate a similar instance (not the same, but related) in this lifetime to help you let go of the guilt - the guilt which is building the disability. I actually did get the sense that at least some of the physicality could be healed - I did feel a reticence to this during the workshop - a holding on of the past. So is there a place now in your life where you hold some form of power over other life, where that other life is suffering? You know the karmic root and you know you want to let go, but I don't sense you've yet fully encountered emotionally where that pattern is playing itself out in your life today. That's the key: you have to find and go through the emotional impact of your actions from the past life, but as they're playing out today. Food for thought (a line that was given to me by spirit - so is the area within food? Are you still eating meat?). Hi Open, Thank you for your guidance with this. I was a meat-eater for a good part of my life with periods of being a vegetarian. For practical reasons (I took the easy way out), I returned to eating meat with family members. I'm aware how eating meat contributes to the suffering of animals especially since recently watching the documentary, "Ghosts in the Machine" about the horrific conditions of animal factory farms. I decided to eliminate meat from my diet last year and to embrace a vegan, gluten-free diet. Since then I've eaten meat on a few occasions. However, after becoming aware of how animal factory farms operate, I will not eat meat again. But I have continued to eat eggs, fish and seafood occasionally. Just prior to the recent Toronto workshop, I chose to eat prawns when out for dinner with family. Each time I occasionally eat seafood, a rash breaks out on my face. I see this as being "faced" with the guilt of lack of respect for all sentient life. I can see how this is power over other life -- not power with other life. Recently, I've become aware of consuming products that don't serve the highest good of all sentient beings. Your "Healing The Wounded Dragon" meditation has expanded my awareness about this. I've been sensing that the cosmetics and body care products I buy and use may involve animal testing. When I use these products a rash appears on my skin signalling to me that my actions are not aligned with respect for all life. Also, I have used pain medication recently for the increase in neck and back pain. I'm aware of the prevalence of animal testing in the pharmaceutical industry, so I may be contributing to the suffering of animals when I ingest these. So it is time for me to consciously choose to consume products that support the highest good of all sentient beings. So what you are saying is that I need to fully feel the emotional impact of how the pattern of "power over" from past lives is playing out today in this lifetime -- in order to break free of recreating this repetitive karmic pattern. When I fully feel and accept this emotional impact without judgment, I create an opening to breathe higher consciousness into the blockage and release it. So what I sense, is that the aligned part of you - your higher self - is creating an impact in this life to cause you to confront the unconsciousness of your lower self. Hence the disability, the 'disempowerment'. It's pretty clear to me this is likely a central theme of your incarnation. So in order to heal, there's a need to fully experience and express the emotional impact of your life on other sentience - just as you've begun to do. And by the way, fish and sea food is meat. They're sentient creatures - I can say there's no distinction in the higher dimensions. So the impact on our consciousness will be the same. Which I guess is the reason you're reacting. In order to truly process such karma, we must allow ourselves to feel the emotional impact of our unconscious actions, to try to understand why we do them. Just artificially forming the intention to be more compassionate doesn't work. We actually have to feel why to do it by confronting the impact. Then we can work to forgive ourselves. That's likely to need a change in behaviour to an aligned way. One that you recognise feels right to you. Then the karma will heal, which will have an expanding effect in your life. Although it's impossible to predict what the physical benefit might be. The key is, you'll feel more integrated, whole and complete with a greater sense of peace. Hey Catherine - your sharing touches me deeply - the degree of honesty you're finding, and your courage to do so out in the open here on the site. As we move into the higher dimensions, we become completely transparent. What do we have to hide? No one is beyond distortion. No one is absolutely pure. Not even a saint - if there are such things! "Right now I'm feeling overwhelmed, pissed off, and angry about this crazy 3-D world." That's the place to be - right in your truth. There's just too much denial of this going on in spiritual circles and perversely, it blocks people from the higher consciousness. There's no short cut through the trees. We have to get into our stuff if we are to ditch the baggage. So let yourself be there. Let yourself be pissed off. How does that want to express itself? Open yourself up, let yourself express. Then you'll get right into the heart of the matter and begin to liberate the lost aspects of soul buried there. I can imagine that you will recover more mobility with this approach. And I would encourage you to work with that. I've witnessed all manner of 'miraculous' healings through this work. They happen where people lose their attachment to the physical disability completely. But that doesn't mean shying away from in an emotional sense (I'm not saying that you are by the way). It means penetrating the feeling of it as if it is totally normal - you become one with it. Like the neck pain you started to experience for example. I got the sense that this was deeply significant and karmic. The pain is the place where the light enters. So keep feeling it, keep accepting it, keep working through it - softly, gently and with presence. This is always the way to penetrate the darkness - the unconsciousness within. We're all with you Catharine. Catherine - I want to thank you for sharing your journey here. It has really helped me begin to open to my garbage, nonsense and attachments. I'll be reading something you've written and suddenly experience an OMG moment - with a little cursing and more than a few tears too!!! I appreciate Open's soft and gentle approach. I've been feeling that any point of tension within my body represent a loss of power - and am appreciating increasingly that what I experience in the physical world is also a metaphysical experience. Actually, more the other way around - the body simply reflects the metaphysical. Your honesty is helping me to be more honest with myself. Thank you Catherine. Thank you. You said in your last post to me, "No one is absolutely pure. Not even a saint - if there are such things." Your statement blew my awareness open to all the mirrors I've created in my life about my exaltation of sainthood. As a child and adult, I surrounded myself with schools and churches named after saints. While growing up, I had many books in my home and school about saints. The nuns rewarded our good behaviour in school by giving us holy cards with pictures of saints. I've had extensive religious programming about the nobility of choosing to live life as a saint -- and not as a sinner --in this lifetime and in previous lifetimes. Sinners were bad. Saints were good (so that meant I was bad). It's interesting that you say no one is absolutely pure since the religious ideal often reinforced during my childhood was to be totally "pure in thought, word, and deed." I've continued to focus on saints throughout my adulthood. Throughout my life people have told me in so many words that I am a stoic saint apparently suffering happily for the good of my soul and for the ennoblement of others. I'm feeling that my idolization of sainthood holds an important key to dissolving my distortions around my attachment to my physical disability. At some level I've felt like a "bad" sinner unworthy of redemption because I am not absolutely pure -- nor ever shall be. So perhaps I attached to saintly martyrdom through physical suffering and disability unconsciously believing that this was the way "to save my immortal soul" (another oft repeated religious phrase) in the absence of sainthood. Sin is separation from Source. One can be in truth and right action and in the divine flow while being imperfect, thank goodness. I had a lot of family conditioning around denial of my disability (the more I was super woman the better) and denial of my feelings about my experiences with this. So these days I'm letting loose with feeling these emotions and accepting that it's okay to be a sinner and not a saint. Perfection is such a drag! I get it that good and bad and light and dark are just judgments for us to rise above and soar like eagles who really don't give a damn about such distinctions. You said, "Open yourself up, let yourself express." Writing is a comfortable vehicle for me to express, so I'll do more of that. And increasingly I hear myself speaking my truth -- sometimes to my surprise (who was that?). And finally, you said, "The pain is the place where the light enters." My pain continues so I'm accepting it more and more as a portal for light instead of resisting it. I'm not totally there yet. I like Leonard Cohen's phrase from one of his songs, "“There is a crack in everything. That's how the light gets in.” Saints have cracks, too: that's what I see now. You described the buzzing experience perfectly. I often get that buzzing feeling in the mornings,it often wakes me. It does not create a audible sound but the buzzing feeling often makes me think of a ringing or buzzing sound. The buzzing starts, usually in pulses. It feels like white noise because it is only when the buzzing stops between pulses that I realize the buzzing has started. When the buzzing stops for that split second my body feels normal and good, when the buzzing returns I feel sick physically and emotionally. This pulsing buzzing wakes me, followed by worry, anxiety, fear, and dread. I tried many different things to get rid of it, but nothing helped much. I was told it was vibrations, signaling a jump in spiritual ascension, and my anxiety was the fear of the unknown, but it did not feel like something positive, nor did it feel like a raised vibration. So I did what you suggested in your article. This morning the buzzing started, I searched in my body for it's source, I could not find it but it quickly went away. Then came the negative emotions and energy, without any negative thoughts to bring it on, at least not consciously. Instead of trying to convince myself of all the good things in my life in an attempt to get rid of it, I anticipated it and searched it out, almost like a hunter wanting to catch it and throw it out. I allowed the emotion to come up and stepped into the emotion prepared to feel it all. It lessened immediately, and I was actually a little disappointed because I didn't want it to get away, I wanted to "catch" it and get rid of it. Some of it was still there and I felt it in my stomach, yellow chakra. I focused on it, no longer afraid. It went away, but came back three more times, but this time it traveled to my orange chakra, but each time it was lighter and I was quicker at facing it. It's not completely gone yet but it will be and I intend to do this every time until it never comes back. I have been asking any workers of light, on the other side, to help me through this and I believe they guided me towards this article. Thank You! These are not easy circumstances to share, so I greatly welcome you doing that here. The more light we can bring to the truth of what's really going on, the quicker humanity will move beyond this intervention. And that fact that you're experiencing it does not make you 'strange' in any way - all people suffer from this intervention even if they don't consciously feel it. Real and lasting evolution is not to deny or disassociate by moving into bliss, that just risks taking people into an illusionary bubble - purposefully created by the intervention to prevent souls fully infusing here and now. That's the intervention agenda and false spiritual work is their last line of defence. The way you're approaching it is pretty spot on. I get that the solar plexus is the place to really focus and to soften into. So let the emotions come up first (the sacral chakra), let them relax, and then go into the solar plexus and work with this. 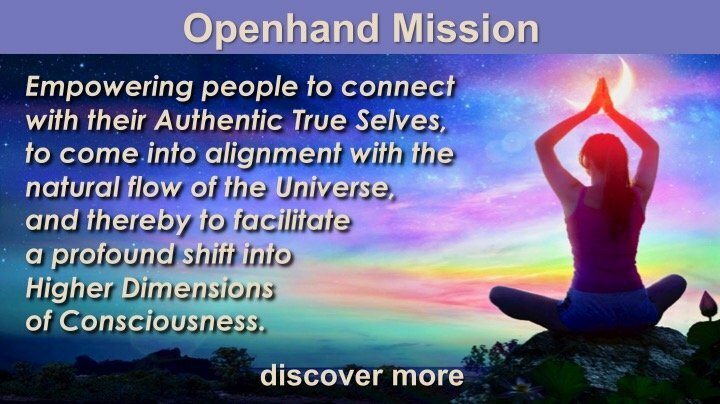 The Openhand Approach is to activate the feelings, let the density come up, let it tighten you, because only then can you even know how you're being subconsciously influenced. Let yourself fully express the feelings - it could be yelling, crying, throwing-up, wild movement or simply curling in a ball. Fully express, go into. When you're at one with the feeling in this way, then "open the door through the experience". Literally it's like opening a door into emptiness - but an emptiness/openness that is through the experience. In this, you become 'the One' - or at least pretty close to it. It's important to distinguish the sense of 'the One'; it is not 'unconditional love', 'infinite consciousness' or 'bliss' - these are merely transient experiences of consciousness. Rather it is to step through these into nothingness. In this place, nothing can touch you; and it is the source from which authentic soulful expression then arises - an expression which can literally blow the intervention away. So then, as presence (as the One), there's an allowing of the soul to flow in more strongly, by observing and bringing attention to your sense of soul. You will likely find it passing into the contractions, yearning to unravel and unwind them - pay attention to how that is working inside of you. It could feel like a knotted ball unwinding itself or sunlight melting away density. Whatever naturally arises for you as an experience aligned with this generality, give full attention to it - learn to notice what is authentic soul expression. Give yourself fully to this. As the soul is expressing fully through the density, then this negative energy will pass away. You can help the process by breathing into it or moving with it. Invoking warrior energy may also help, providing it's not angry energy - just powerful. Moving to music can help in this - it's sometimes how we employ soulmotion. You can also use our purposefully created meditation...Releasing Entities Meditation. Keep going, keep working with it. There are many layers to this in people's fields. Each clearing brings with it a great sense of liberation, expansion and reclamation of soul sovereignty. You've begun well - keep right on going! Hi Open. I am stymied with regards to my 3rd chakra, which seems to be blocked. All the others are open and vibrating, but nothing happens with the 3rd. And the area is also thicker than it should be. I have cleansed, detoxed, addressed negative energy blocks and implants...all to no avail. I'm really not sure what else to do. Next week, the 24th, I will have a energy worker whom I see about every month, work on me with specific emphasis in that region...or wherever else she senses blockages. But do you also have further recommendations? My instant response is that it's not about energy work. It's about behaviourisms. There's something that's going on within the plane of the intellect, and how you act from this place, which needs to be addressed in daily life. In which case, I would simply offer it up to the universe and then watch what the synchronicities say in relation to intellectual behaviourims. Thank you, Open. I have done so since reading your response. I thought I was through with the intellectual, but apparently, and obviously now, I am not. I can see it much more clearly, and why many of my comments are not answered. I have noticed I don't have the language of the Openhand community...that i have felt outside...this is no doubt why. Thank you again. I have definitely taken your suggestion to heart. I also find that I am plunged in the 4th Gateway, moving towards ''zero''. I have contacted with you a few days ago via email. I have the same pulsating feeling on my temple area for quite some time (But not always). Now I am searching on this matter it came to focus. When I focus on that area very much(without any intention), i see light and unnatural things. I have strong intuition about anything. I have lived my life like monk for 2 years virtually in book world to everyone's amusement and family's irritation. Those times had had side effect on my physical and emotional state. Mentally i was dettaced to any thing. When it pulsating unpleasantly i feel floating sensation on my stomach. Those things are not my imaginations because I questioned those things myself. Yesterday I have a moving sensation on 3rd chakra(only one I can feel) and I think the implant is also sucking my energy. I think I need serious help,what should I do? I am new to in all these. Dear Shonali , welcome to the Openhand evolving community . I feel i have been guided to your honest sharing intuitively 10 mins ago - by just tuning in to the website . I totally relate to your accurate descriptions of entities presence in your energetic field . Importantly so , u seem to have developed a great sense of locating its movements and side effects in your daily life . I am already pretty skilled at working with those subtle phenomenons going on . If u feel u need some help , u will surely be guided to one of the Openhanded facilitators . Know that u are absolutely not alone with those weird sensations and that i totally emphasize with your situation . Much love , Jean . I felt to feature this article again today because plenty of people out there in the spiritual mainstream are taking an interest, and inquiring about what energy implants are, where did they come from, and how to remove them. Am I a character on Star Trek? Recently, after doing this meditation, I had an experience with an entity I haven’t encountered before. I am familiar with the reptiles and the “greys”, but this was a different kind. It didn’t happen directly after the meditation, but rather in an open meditation the day after. At first, I had the experience of opening my body up, kind of like cracking a shell open, and peeking out. There was a feeling of lightness and freedom at first, and I felt as if it were me, pushing the shell open and looking out. However, as the experience progressed, the consciousness I experienced as myself kind of split and I felt an energetic separation, as if something stepped out of my physical backside out into field around me. As this happened, I saw the image and felt the energy of a being literally stepping out of my body. What I saw can be described as a giant grasshopper or praying mantis, but upright and more humanoid in form. I felt it was more connected to the grey energy rather than the reptilian, but honestly, I have no idea. One thing that was clear though, was that I didn’t feel like, or was supposed to have any communication with this entity. In my previous encounters with other entities, there has always been some form of communication with the entity. Usually, a need or desire for me to help it somehow. But this felt very different. This being did not need or want my help and I have no idea why it was there or what it was doing. All I could do was ask the angelic realm to deal with it, but I received no further information as to the purpose of it. Afterwards, I felt very unsettled and a few hours later, I felt the Matrix, through the judgment of the people around me, ambushing and cornering me into a very tight space. I have been anticipating this “battle” with the Matrix ever since I had a significant breakthrough a few weeks ago. Previously, I’ve always felt as if I was battling with myself, my own issues, but for the first time in my evolution, I can actually distinguish an energy field around me, that is fighting to keep me constricted and contracted. I have been anticipating this “battle” with the Matrix ever since I had a significant breakthrough a few weeks ago. Previously, I’ve always felt as if I was battling with myself, my own issues, but for the first time in my evolution, I can actually distinguish an energy field around me, that is fighting to keep me constricted and contracted. So if you, Open, or anybody else out there knows anything about big alien mantises, please take me on board your spaceship and share your experiences and/or guidance with me. Oh my goodness, I’ve been seeing these dudes since early childhood. Never met anyone who’d see them too! To me these are just another kind of parasitic energies that have been around for a very long time. The key (to me) is to not be afraid and to feel strongly into my own energy and the difference between who I am and what vibration they emanate. Trying to figure it out usually doesn’t bring much insight. I personally prefer to just allow for an insight to come through and be ok if nothing presents itself. When you practice being grounded and being in your own sovereign vibe, the guidance as to what to do with these energies (if anything) will become clear. You are deeply loved and supported all the time. In some instances the entities may be still attached to our energy field through our wounds or blind spots. This means that on an unconscious level there is a consent that we gave to that parasitic connection through our sense of disempowerment, addictive behaviours, manipulation, not following the truth, you name it. But it’s not to feel bad about it, because we’ve all been born into this mutant system; taught over and over its various programs. 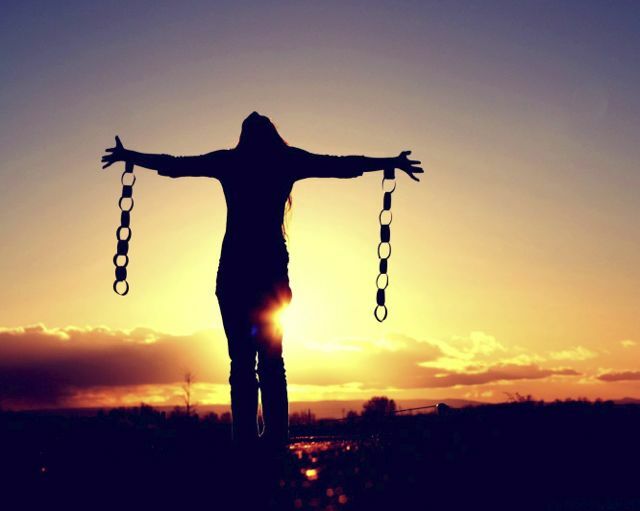 As we become more aware of what’s going on, the opportunity to tap into the inner wisdom grows and we can choose to set ourselves free from some of the matrix anchors. I also find it useful to look at the broader picture. The current energy realignment brings us to an interesting point where the reality seems to be splitting and with that many observe the thinning of the veil. It’s like we’re getting more access to the multidimensional field. In my knowing there are many beings of different origin and vibration all around. Among them there are parasitic entities. These shadow forces seem to be undergoing a shift of consciousness as well and some are releasing and moving on and some want to be more entrenched still. So, these are interesting times and congratulation on your recent expansion. Thank you do much for this wonderful exploration. I often feel like a rank newling and often read but don't write on these threads but I felt to write in today . I don't actually see the from of the entities ,just a sense of an energy that I feel so the mantis thing is very interesting . I have also been feeling very much put in a corner by many situations at work and in my personal life . As if everyone is coming to get me and I'm not sure why. And yet ,for me ,whenever I don my battle armour energetically ,I am feeling like I am playing into the hands of this energy. Softening into it ,not battling but just being with the energy within me it triggers ( a mix of defensiveness,heart felt betrayal,anger and frustration at people not getting it ) . This is usually enough to get everything to pause for a short while and for me there has been what feels like a lot of karmic stuff that comes up to be released. I'm not sure if that helps but was called to share . Lots of love ! So, you brought up something really cool, namely that we perceive energy differently, depending on our sensitivity. Most people are visual, some are more tactile, others will feel things more through inner knowing. I find that very interesting. Interesting exploration indeed, the concept of battle and armour. For me the word ‘battle’ signifies a head on meeting. Being face to face with your opponent. Looking him in the eye and acknowledging, this is you, this is me, what do we do about it? So going into battle with the Matrix for me means looking up and facing what’s in front of me. Now that I can partially ‘see’ it. Megha, you bring up ‘armour’ in your sharing, which invites me to explore further into the concept of going into ‘battle’. What strategy do I apply and how do I protect myself against my opponents attacks? In a typical 3D battle, the conditioning requires us to feel we need protection. Otherwise we get beaten or eaten alive. Hence, we believe some form of armour is necessary. But this is the grand paradox in this game, just as you said, that as soon as you armour up that’s when you play right into the hands of the Matrix. In my case, when I feel the need to protect myself, I contract. I tense up and harden some part of myself, so as to not let something in, that I perceive as threatening. That becomes my armour. I think this is what Openhand refers to as tightness. But this, of course, is exactly what the Matrix is working for, to keep me tight and contracted. Why? Because when I tighten up, I look away. I hide, and I’m no longer face to face with my ‘enemy’, looking him right in the eye. The wall I put up and hide behind is the same wall that my opponent can use to slip by undetected, and find a way in. In other words, I have created a blind spot where I am temporarily unconscious, and therefore, paradoxically enough, unprotected. Like you, Megha, I also experience the frustration of people ‘not getting it’, and what I detect in the ‘armour’ I raise against this is a shitload of judgment. Especially of people who just don’t seem to want to deal with their issues. I can cut the people who are completely unconscious of what is going on some slack, but the ones who have a clue but don’t want to take responsibility are the ones who really get me. Oh, of course, ha ha, just as I’m writing this I’m realising where this is coming from, my mother! Suddenly, a door opened up, and I can see where I’m invited to look next...Interesting! 🤔 Thank you! Margaret, thank you so much for taking me on board 😉. It really means a lot to know that there are others out there seeing and experiencing similar phenomena. I had just checked into a hotel, when I saw your reply. I sat in the window to read it, and as I turned my head, I noticed a big green mantis like insect, sitting right beside my head on the glass outside my window. I was a bit unsure of how to read the sign. Did this mean the entity was still around in my field, or was it just a confirmation that what I had seen was real? As I read your reply, I took it as perhaps a little bit of both. Indeed there is. I find it hard to put these breakthrough experiences into writing because of the amount of levels and complexity they encompass. But I feel you have pointed me in the right direction, and I’m already investigating how this newly acquired level of consciousness interrelates with my experience of the Matrix. There is so much more, but time just flies. Through this thread and the sharing I feel like I have experienced a breakthrough. Two new learning have burrowed their way into my being or rather have started to sprout now as the conditions are right. One is the concept of ' Everybody is the doing the best they can' . This concept comes from me releasing self judgement about not medicating my schizophrenic brother sooner. I have been in conflict with my Mom who was and is still in deep denial of his illness. And even though meds have started (and are working well) ,I found I was attacking myself for not starting them sooner. And in that allowing and releasing myself ,I recognized how I have also donned armour and judged someone from work who seems to be triggered endlessly by my presence. I find myself getting very tight around her and fighting her judgement of methrough multiple jugdgements of my own . A couple of days ago though something landed and I just 'saw' how she was doing the best she could. And how my judgements were constricting me . And there was an opening and an influx of deep love and acceptance of the situation for what it is -Judgement,Frustration ,anger ,betrayal and all. They are still layers of feeling to go through in both of the above situations. Even after breaking through one layer ,I find there are many layers to go through. I suspect some of it is karmic - I may have been wrongly tormented before just because I was bringing light into situations and I have developed a deep fear and frustration around it . Having felt the breakthrough once though ,I now feel like I have a signpost for further exploration . Thank you Margaret and Anastasia ! I’m really glad to know that this thread has helped you reach a breakthrough, and yes, layers and layers will probably keep revealing themselves. Perhaps you’ll want to look further into what activated the self judgment in the situation with your mother and brother. For instance, was it a sense of not listening to yourself when you felt the right thing to do? Hence in a way, letting yourself down. Or maybe there is something in your relationship with your mother, and the situation that played out with her, that triggered the self judgment? Whenever I find myself in some sort of emotional conflict, especially with family members, there is almost always a thread that goes further back in time, and the scene that takes place at present is so cleverly designed to ‘remind’ me of a past experience, suppressed, forgotten, or simply disregarded. When I finally figure out what goes on backstage of the events acted out, I really marvel at the level of multidimensional intelligence creating these scenarios. These are just suggestions, but offered to encourage you to inquire further beyond what appears at face value, (which I can see you’re already doing). Since I don’t have much knowledge or experience of schizophrenia, I’m wondering (if you want to share), is it entirely up to family members to decide on medical procedures for the person affected? Is there no part of the responsibility that falls upon the person who is to take the medication? Or is your brother underage? The great thing is that it feels like you're definitely on the right track - seeing the way to process through. There is nothing going on but the process! So having discovered that, becomes the perfect approach to life itself. It's just about accepting and settling into that. And yes, all situations will be multi layered. So as we break through one aspect of a judgment/distortion, there may well be others beneath. Through each layer we simply integrate more soul and liberate more true self. Where medication is concerned, in my experience with people, it is best to be the absolute last resort, because of the impact on consciousness. They tend to subdue and limit, taking one further away from true self - but necessary, yes, at times. This is a great thread indeed - lots of gems here being explored through. When you see a distortion, don't simply try to drop it, like the proverbial hot coals. Because at the root of the distortion is always an authentic truth - distortions are distortions of an original truthful expression of soul. So in order to peel away the distortion, is to find the truth and express that instead. So what might the truth be in 'tensing up and protecting oneself in the face of an "enemy" (opponent)'? With someone you experience as opposing you, someone who doesn't have your best interests at heart, then clearly there are limitations to the degree in which we might trust them. It's fine to be loving and non judgmental, but that doesn't mean to abandon discernment aswell. Where trust is an issue, then the soul will create natural boundaries. So for example the emotional body might naturally retract, so as not to be so emotionally open and therefore vulnerable to their actions. But essentially, this must not become a hardened boundary - fixed and tight within. It must be allowed to expand and contract naturally as we perceive the authenticity of the moment. So you look in the 'opponents' eyes, and you're discerning the degree to which you can trust, and allowing the natural boundary to form from there. Crucially, this requires attention to be in one's energy field - the blind spot will be where the mind forms some kind of judgment (like... "I'm going to be hurt" for example), and paradoxically, you risk getting hurt because the boundary stays open too much or else contracts down and starts to fix. A great deal of mastery is to be gained from watching these subtle inner interplays happening.